​Although the human need for energy is consistent, that might be the only thing about the industry that is. Every day, the world grows hungrier for more, and facilities struggle to keep up with demand. Power Generation & Energy news seems to change by the moment, regardless of the sector. This makes it absolutely imperative for engineers, managers, and other decision-makers to be able to keep up with the latest info, at any given moment. Though emerging, this online energy & power magazine serves to fill the void of information left by other venues, providing a truly comprehensive source for professionals in the energy industry. ​Power Generation news for every energy sector delivered continuously. Learn how to stay on top of the latest regulatory and policy changes. The number of regulatory agencies involved in energy production is astounding. New compliance requirements pertaining to environmental concerns and safety appear to be added every day, though these agencies seem to demand action without providing actionable solutions. 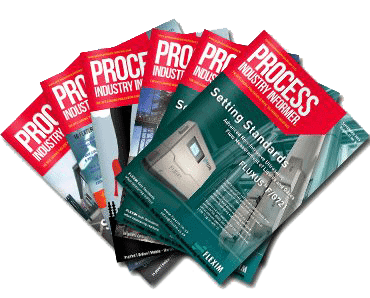 As a premier power engineering magazine, the pages of this site contain explanations, as well as products and procedural updates that enable facilities to meet or exceed compliance standards. Find out about the newest advancements in technology. Though the industry continually evolves, developments across certain sectors occur at breakneck speeds. This site has made it a priority to cover new processes and innovative ideas that lead to safer, more efficient, and better run sites. Get information on a wide variety of topics, related to each sector. Bookmark this online power engineering magazine now, for quick access to information about events as they occur. This site will be updated as new information becomes available, and additional pages will be added to the archives over time, creating a vast reference library. Take a moment to bookmark this site now, to ensure rapid access later.